Back for another season, this ever popular reversible dress set gives you two looks in one! 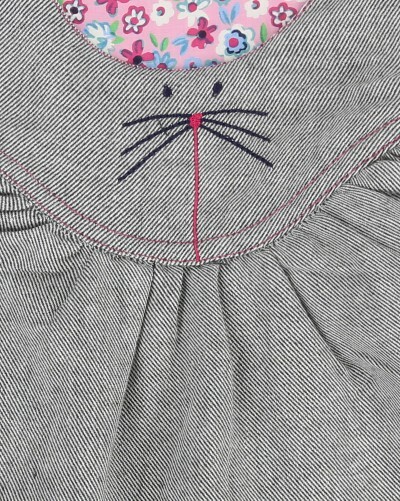 On-trend pinafore dress has a Woven Ditsy print to one side and soft flannel to reverse with character detailing. Wear with co-ordinatingr tights and top for a unique look.